Big Shot No. 30 returns home to Rochester Institute of Technology: Big Shot photographers aim to capture the Golisano Institute for Sustainability, Louise M. Slaughter Hall and the surrounding quad for the nighttime community photo project on Sept. 6. Destler and Johnson pledge $1 million endowment to Rochester City Scholars: RIT President Bill Destler and Rebecca Johnson continue funding for the program, which provides free tuition to RIT for eligible city students. RIT and Coca-Cola Announce New Partnership: In July, Coca-Cola became the primary beverage provider at RIT. Coca-Cola also supports scholarships for RIT students. RIT announces artistic lineup for 2014 First Niagara Rochester Fringe Festival: RIT President Bill Destler on the banjo and his spouse, vocalist Rebecca Johnson, are one of the many acts in this year’s First Niagara Rochester Fringe Festival Sept. 18–27. RIT employs START-UP NY to bring tech jobs to Rochester: RIT applied its START-UP NY certification to entice one of its alumni to open a New York office of his highly successful Connecticut-based company. Flipping for New York history: New mobile app developed featuring regional historic sites: FLIP: Finger Lakes Interactive Play highlights multiple historic sites in the nine-county area of the Finger Lakes Economic Development Council to enhance visitor experiences. RIT named a National Center for Academic Excellence in Cyber Defense Education: The B. Thomas Golisano College of Computing and Information Sciences has been recertified as a National Center of Academic Excellence in Information Assurance/Cyber Defense Education. RIT joins top game design programs in founding Higher Education Video Game Alliance: The alliance was launched July 1 to promote unified advocacy, policymaker engagement, media coverage and external funding in order to harness the power of video games. RIT’s School of Photographic Arts and Sciences ranked No. 2 in the nation by ‘Resource’: Resource, a leading photo trade magazine, has recognized the School of Photographic Arts and Sciences in the College of Imaging Arts and Sciences as one of the nation’s top photo schools. e-NABLING the Future: RIT researcher Jon Schull has connected hundreds of volunteers around the globe to make affordable prosthetic hands wherever they are needed. 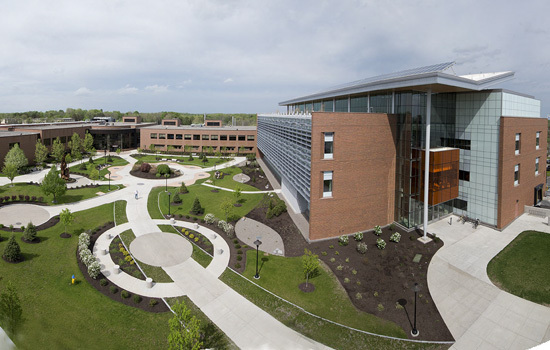 RIT College and Careers: The College & Careers program includes an overnight in the dorms and is designed to help prospective students gain the experience and knowledge necessary to start making career decisions. SMASH Summer Math Experience: Summer Math Applications in Science with Hands-on Experience for Girls, or SMASH, gave 40 incoming eighth-graders an innovative, fast-paced introduction to the importance of mathematical modeling.